Saying that business is booming for a major aerospace company’s aircraft interiors segment would be a slight understatement. Companies like B/E Aerospace – as reported in a 2014 feature on Runway Girl Network, which today posted record second quarter earnings – have never been busier due to the mass of aircraft on order that need seats, galleys, lavs and other interiors equipment, as well as the demand for cabin retrofits. “We have a lot of brand new cabin interior equipment going into these aircraft,” company chairman and Amin Khoury said during an investors call today. 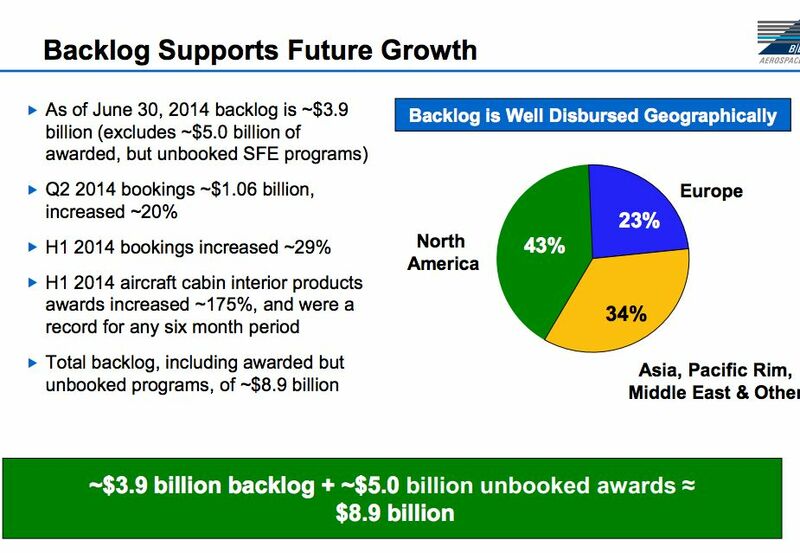 Super First Class suites, alone, are seeing a “record backlog” – largely related to new aircraft. 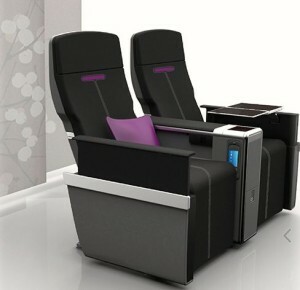 Additionally, the company holds about a 50% share of economy class seating programs and 60% of business class. As for A350 galleys – of which B/E is the single source supplier – “we are up to our necks in getting galleys out”, says Khoury. It’s little wonder, then, that B/E saw revenues increase 28.1% to $1.09 billion in the second quarter. 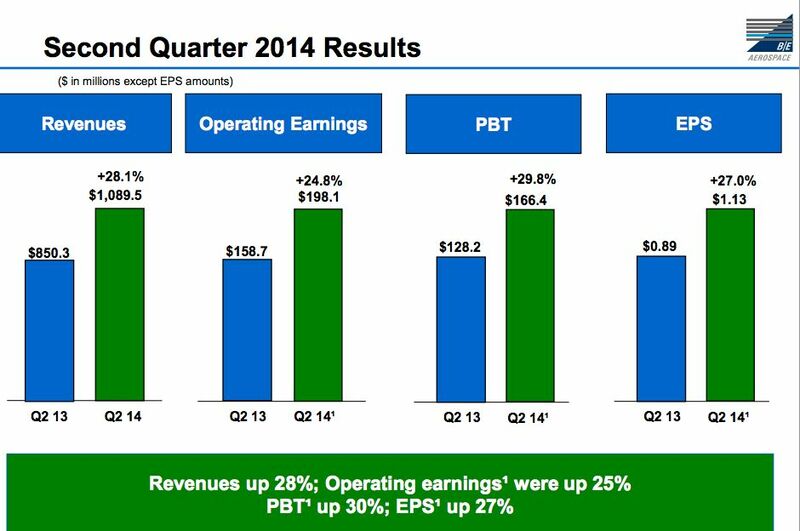 On a GAAP basis, operating earnings were $185.3 million, and net earnings were $108.6 million. Backlog was only flat at $8.9 billion despite the completion of several acquisitions during the quarter, suggesting that strong organic growth began to peak in mid-to-late 2014. So, is it possible that aviation companies like B/E Aerospace should be concerned that OEM orders had peaked in 2014 – thus making 2015 a year where demand will climb to follow suit? However, aerospace companies are pressing ahead with plans to split into two independent, publicly traded companies. During today’s conference call, Khoury said B/E expects that the Services business will be spun off from the corporation from B/E Aerospace before the end of the first quarter of 2015. “I think that the probability that the Services business gets spun off as a prestanding public company before the end of the first quarter is a very, very high probability. I think you should expect that that is going to happen. We nevertheless continue to review all of our alternatives, continue to evaluate other prospects. Obviously, if someone were to lob in a bid for one of the two businesses which would generate a return on an after-tax basis which we think would be higher than – substantially higher than – the expected trading price of the two companies in aggregate, we would evaluate it. B/E, like others in the aviation industry, has not yet determined if it will raise guidance for the third quarter. “Let’s see how we do in the third quarter, and if warranted we’ll increase guidance at that time. Just not ready to have another raise at this time,” says Khoury. News article and 2014 economic data courtesy of RunwayGirlNetwork.com 2014 article.